When your not really sure of a gift idea for the Sunday school teacher, school teacher, your hair dresser, the mail carrier or a neighbor. 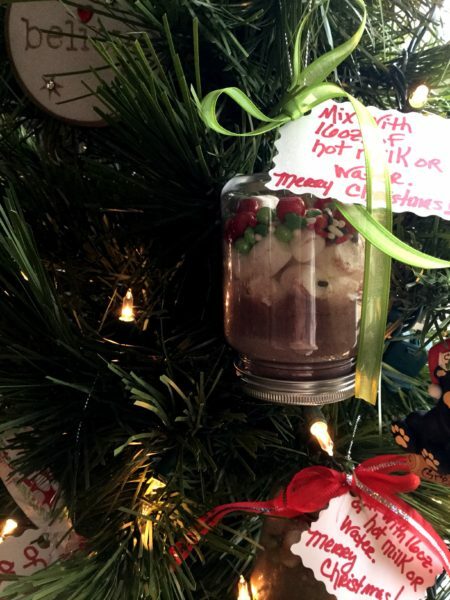 This easy, inexpensive & fun gift just may be the solution. Using a funnel layer the ornament with the cocoa mix, cocoa powder, sugar & salt. Next add the mini marshmallows; then the sprinkles & chocolate candies. On a note card write: “mix with 16oz. 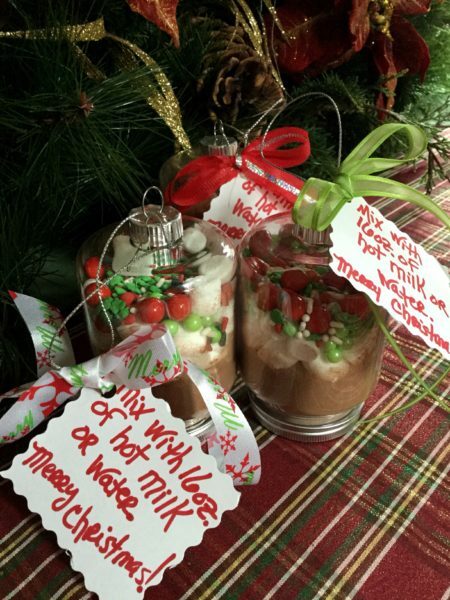 of hot water or milk.” Hole punch card, tie with a ribbon to the ornament.